OPCO is the fastest growing company in Wales for 2004, having grown from a turnover of £1.9 million in 2001 to an impressive £24 million in 2003. The business has been created by a team of senior construction personnel in South Wales and the South West, whose expertise and experience are widely acknowledged within the construction and civil engineering industry. As a result, the company brings quality and innovation to the disciplines of civil engineering, construction, refurbishment and facilities management across a wide range of business sectors including industrial, commercial, residential, retail, leisure and the public sector. OPCO is a relationship-based company, a principle that is fundamental to its business strategy of forging strong, long-term relationships with clients. These client relationships are cemented through the provision of superior customer value and continuous performance improvements. Not surprisingly, growth is also an imperative for the business and the needs of clients are key drivers in ensuring that OPCO grows to keep pace with their requirements. In particular, profitable growth is what all stakeholder groups - clients, employees, shareholders, commercial partners - desire most from the firm. Not surprisingly, profit before tax has grown by 4800% in the period 2001-2003. The company is also aware that the talent of its employees is a cornerstone of its success, as their expertise and capabilities win the work for the firm, perform the work, create value for clients, and generate loyalty in investors. OPCO therefore creates an environment where employees meet fresh, exciting challenges and experience the satisfaction of a job well done. The environment developed by OPCO is one that is flexible to change and open to innovation. Therefore, every employee contributes to value added performance and the attention to detail and insistence on quality enables a wide range of clients in all sectors to plan ahead with confidence. OPCO is currently working on a number of high profile projects within Wales. For example, the prestigious Century Wharf development in the heart of Cardiff Bay is being developed n partnership with Westbury Holdings Ltd. The £85m construction project, with over seven hundred and fifty luxury apartments, is scheduled for completion in 2007. In addition, the firm is currently building student accommodation for the Walters Group in Cardiff and have just commenced work for George Wimpey on their ISIS development in Cardiff Bay. The firm is also involved on a design and build contract to build two new residential care homes at Sully and Llanbedyr; is refurbishing Fitzalan House in central Cardiff; is constructing a 116 bed hotel for Brunswick Mansford in Swansea; and is building Danone’s Pen-y-Cae production facility at Abercrave, in the Brecon Beacons National Park. 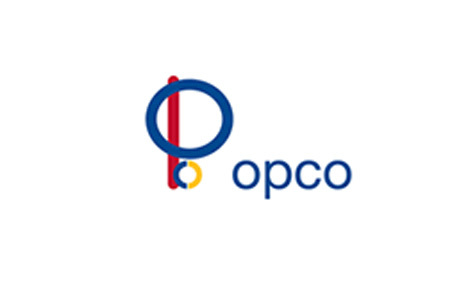 Opco was started by a team of experienced construction personnel who sought to establish a business that was staffed by competent people who understood the construction process, who could effectively communicate and who wanted to utilise the best technology available for the benefit of the project. The successful business growth and expansion of OPCO is attributed to a strong relationship based approach. The firm’s business model is therefore only successful when it is committed to superior performance at every level of the organisation, and clients trust the firm to guard their interests as its own. This trust comes when the firm’s employees consistently identify, address, and satisfy client business and project needs. This fundamental trait of the business model drives decision-making and strategic initiatives. It also indicates what makes the firm unique and what is considered critical to the success of the business. This value system is evidence of OPCO’s commitment to meeting people’s needs whether client, employee, commercial partner or shareholders. The business will continue to expand, doubling in size over the next five years and will become recognised as the one of the premier regional contractors in the UK.